Like it or not, superheroes are largely the domain of boys… but wait! It’s Ladybug Girl! 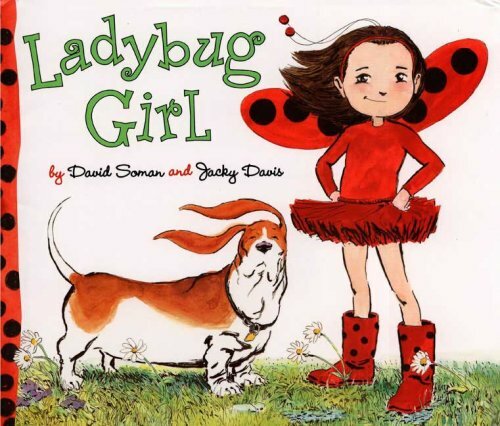 Ladybug Girl by David Soman and Jacky Davis is about an ordinary little girl, Lulu, looking for excitement. Her brothers tell her she’s too small to join their games so ‘Ladybug Girl’ creates her own adventures with help from her faithful sidekick (her pet dog Bingo) and a lot of imagination. In the space of an afternoon she does everything from braving shark-infested waters to building a stone fort. The story is relatively simple and children will identify with Ladybug Girl purely on the basis that her elder siblings treat her as a nuisance but the message is about independence, making your own fun and the joy of outdoor adventures. I like the detailed illustrations that have a touch of manga (Japanese comic style) about them. 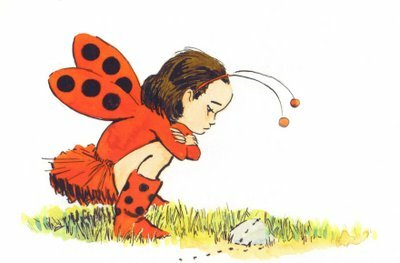 Ladybug Girl is every inch the superhero and stands tall and defiant, yet little girls will appreciate that she can rescue ants in distress whilst wearing a red tutu and ladybug wings. Ladybug Girl is available from Fishpond for $21.97. For little Ladybug Girl fans, there are fun online games and printables at Ladybug Girl.